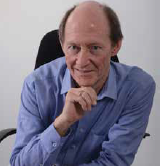 As I write this, $2.7 trillion was wiped from global equity markets in one day, with the Dow Jones industrial average suffering from the largest ever intra-day slide and the JSE all share index being down 15% from the record closing high set in April. On top of this, commodity prices had just slumped to their lowest level since the end of the 20th century, according to a widely used Bloomberg index. On the currency front, the rand had tumbled to fresh lows against both the US dollar and British pound. 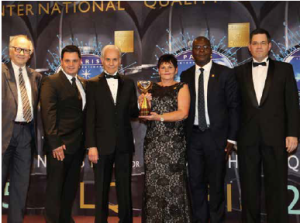 The year 2015 marks a quarter of a century of thriving business, growth and prosperity in South Africa for fischer SA. 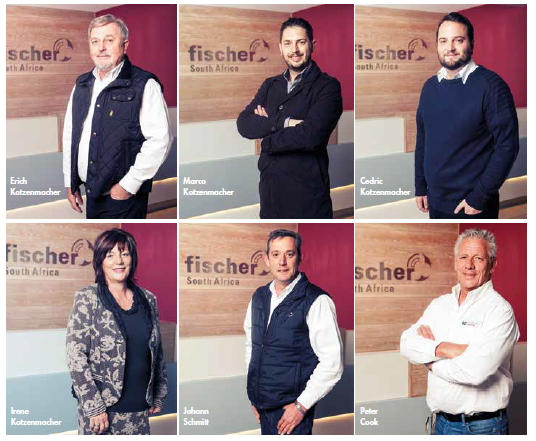 From its humble beginnings in a rented Butterworth warehouse, to its current impressive 19 500m2 factory, fischer has stood the test of time, becoming South Africa’s largest stainless steel tubing company.and Heat Transfer and many more. Construction is an expensive business and when designing and costing a project there is always a degree of choosing between the performance aspect of a material and what it will take out of the initial budget. In the current economic climate it is understandable that companies looking to expand their facilities often make decisions driven by what seems to be the most cost effective solution in the short term. When Bilal Parlak was commissioned to install two matching “wet wall” features as part of Menlyn Shopping Centre’s revamp, it was clear that the client was looking for a major visual impact. 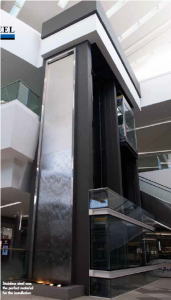 The design called for water to fall down the face of two massive 9m high plates, one next to each elevator shaft. 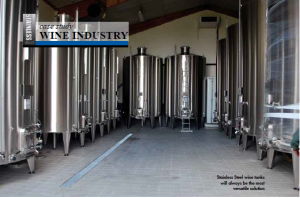 IS CONCRETE A THREAT TO THE STAINLESS STEEL WINE INDUSTRY? Hydra-Arc, initially established in 1987 to source and supply welding and maintenance skills for Sasol shutdowns, has now established Sky-Hill Heavy Engineering, a facility for the fabrication of pressure vessels, heat exchangers, piping spools, structural steel and mechanical installations. 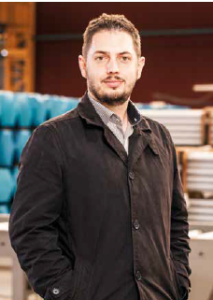 Marco Kotzenmacher, the eldest son of Erich Kotzenmacher, managing director of fischer South Africa – is poised to take the reins from his father as the head of the South African specialised stainless steel tubing company. Marco follows his father’s 24 years at fischer at the end of the year. Marco, a father of two young children, has been employed at fischer since 2004 but finds it difficult to remember a time without fischer in his life, as he has grown up with the company since his father started in 1992.